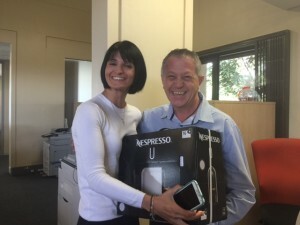 Home › General News › Sports Zone Superbru RWC 2015 | Winner! It has been a while since the final whistle at the RWC 2015, and although our Boyz in Green & Gold were beaten in the Semi Final by New Zealand 20 points to 18, our performance was worthy of a Final! The Boks ended up Bronze winners after a convincing 24 – 13 win over the Puma’s in a playoff for third spot. In the Final, the All Blacks muscled out the Aussies and won the World Cup for a record third time, ending on 34 points to the Wallabies 17. 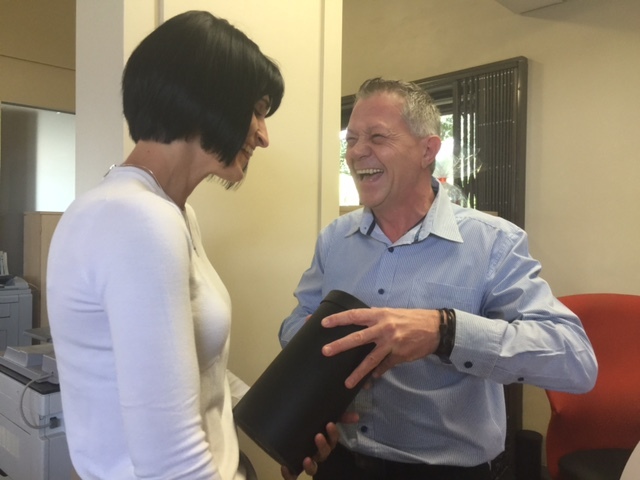 Theresa Nel managed beat the whole field of 45 players – our brokers and Orange Peeps – staying the course and consistently picking wins and close margins. Well done Theresa! 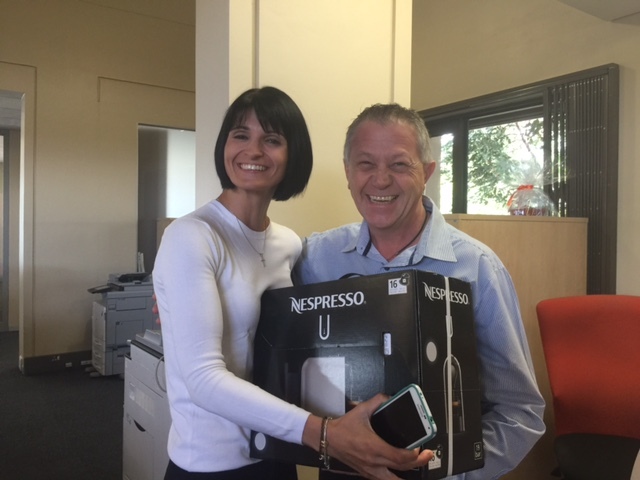 Enjoy your Nespresso prize! “Thank-you” for taking part in the Sports Zone RWC 2015 SuperBru Contest – we hope you enjoyed the banter and the fun – be sure to join in the fun for our next competition – The Super Rugby Tournament starting in February 2016. ‹ Rugby World Cup 2015 | Who will be taking home The Webb Ellis Cup?